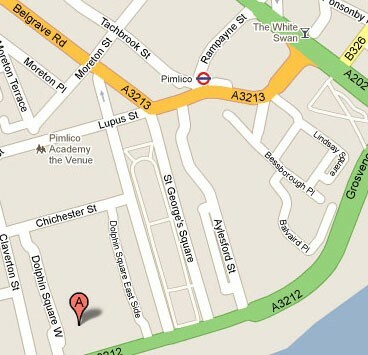 On the night of 22 September 1940, a heavy raid took place over Pimlico SW1. 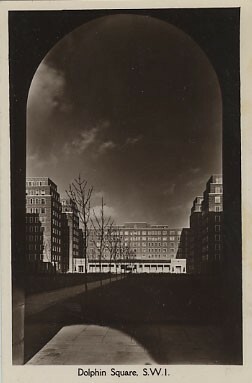 Many local residents sought shelter from the rain of bombs in the basement of Hawkins House, one of 13 residential blocks in the Dolphin Square estate (built 1935-1937). 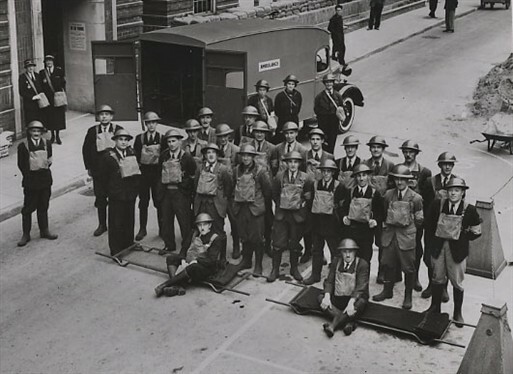 When the Blitz began, Dolphin Square had offered its premises for vital war service. Grenville House hosted elements of the Free French Government-in-exile, the Square's gymnasium became a temporary First Aid Post and hospital and an air raid shelter was opened under Frobisher House. The Square's underground garage was converted into an ambulance depot. 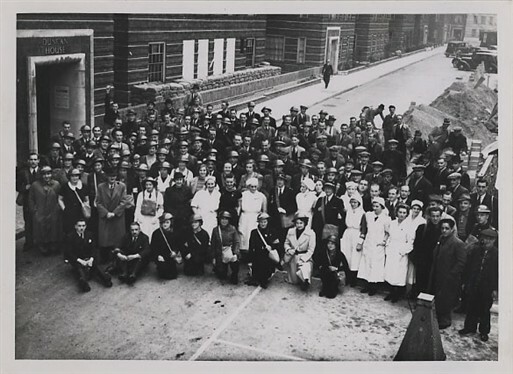 On 22 September, the Square's shelters and its own ARP Deport were crowded with civilians and with members of local Heavy Rescue Service teams sheltering there after reports of an unexploded HE bomb in the vicinity. 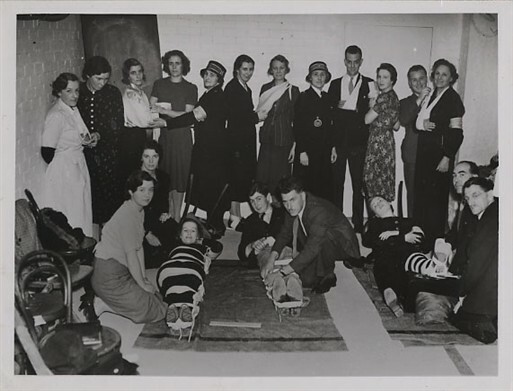 Shortly after 11pm a high explosive bomb hit and penetrated the packed Hawkins House shelter. It exploded, blowing in the concrete retaining wall of the building. Many civilians were buried. Due to the earlier evacuation of the Heavy Rescue teams to the ARP depot, rescuers were deployed to the destroyed shelter in minutes. With coal gas escaping and with no light, the rescue team's approach was limited to a single passageway filled with choking fumes. These teams dug by torchlight as the raid above them continued. In the next thirty minutes 58 residents were taken out along the narrow escape route. Eight squads of stretcher-bearers brought casualties into the First Aid Post and the underground depot. 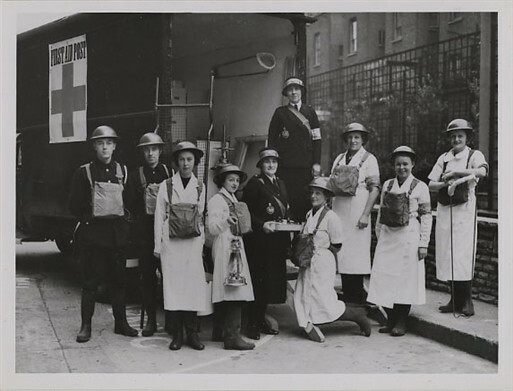 The First Aid Post was equipped to handle minor and light wounds but was soon filled to overflowing with the injured. Staff worked throughout the night to dress serious and minor injuries. On 15 October Dolphin Square was bombed again. This time, a high explosive bomb made a direct hit on the underground garage, destroying or damaging 154 parked vehicles. The resulting fire was fought strenuously and eventually brought under control. Another bomb hit the south eastern corner of Dolphin Square. At 2.30am a third hit a ramp leading to the garage and an ambulance driver was killed. 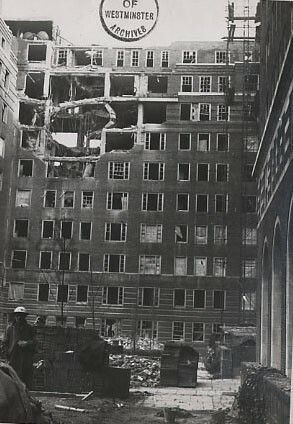 In all, Dolphin Square suffered over a dozen separate bombing incidents during the Blitz and twelve fatalities. Duncan, Beatty, Hawkins, Frobisher, Rayleigh, Drake and Grenville Houses were amongst the worst damaged. This page was added by Laura Zaepfel on 24/06/2011. My mother was one of the 58 who were rescued from the first incident, and was interested to see your account.She had only just been moved into Dolphin Square from the neighbouring street due to the unexploded device there. She remembers everything you describe, from the smell of escaping gas to the all-pervading dust as the building was hit. She was lucky and escaped scared but unharmed. We're always keen for real stories to be added to the site so if you would like to include your mother's then you can add it to the site by following the instructions on 'How to add a page'. If you have any problems then you can contact us directly by emailing archives@westminster.gov.uk. We look forward to learning more about your mother. 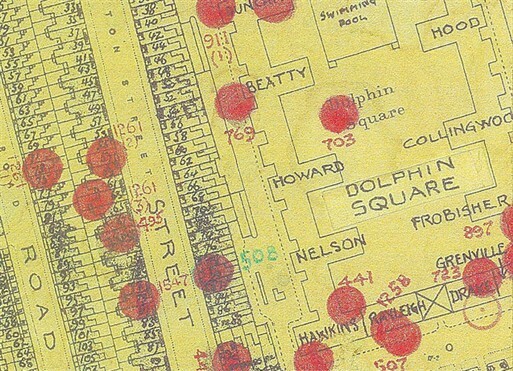 During the 1939 National Identity Card registration, my grandfather (John Bennett) was logged as being resident in the porters quarters in Dolphin Square. Be great if anyone could shine some light on what he would have been doing there?